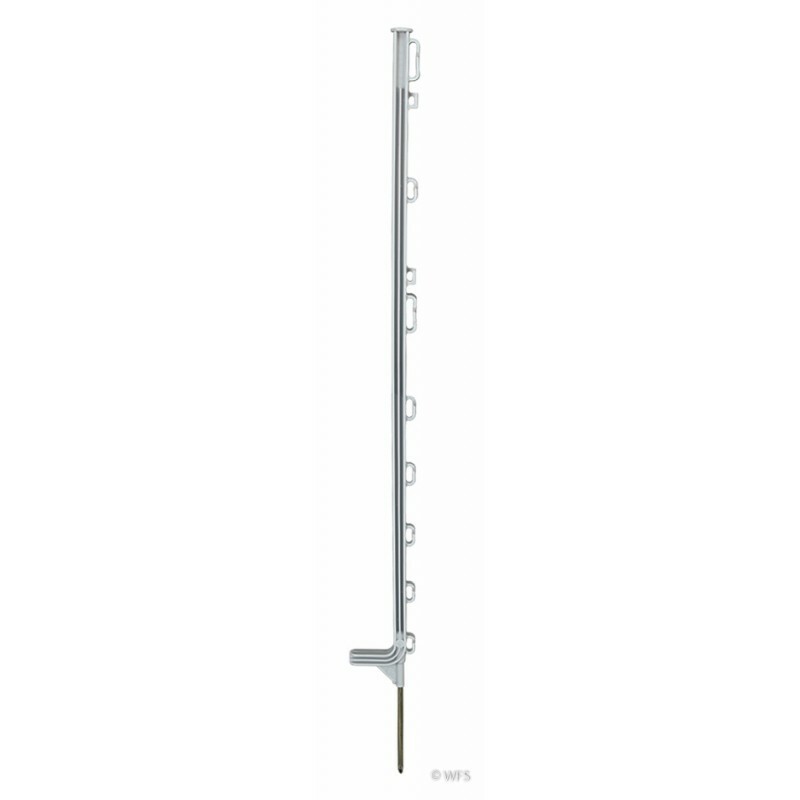 Easy to use posts with a 3/8" x 8" step-in spike and molded clips at 10 different heights which accept a variety of conductors. Quick and convenient, these posts are easy to use! They have a 3/8" diameter by 8" long, pointed, step-in spike with multiple front loading clips for tape, twine, rope, wire or MaxiShock. Ten molded clips, at approximately 1.5", 4.5", 8", 11.5", 15", 20", 22", 26.5", 31", 33", above ground. Gray. 1.5", 4.5", 8", 11.5", 15", 20", 22", 26.5", 31", 33"
Support a wide array of electric conductors or prop up some electric netting in areas that need extra support. Plastic channels running the length of the post provide extra support - a feature not found on other similar posts. Come 10 to a package, but sold individually.